Sunday 6th April saw Luton Diving Clubs Skill divers along with some of the TID’s take to the pool in Stevenage to compete at the ASA East Region Skills. All the divers competed a set list of jumps and dives on poolside and 1m, whilst competing various line-ups and dives on 3m. Boys and Girls group C divers were the first to compete, with Nat Connolly, Nick Gurteen, Asher Omar,Sarah Fleetwood, Emma Sheehan, Tuso Madiri and Natasha Bentley all representing Luton Diving Club. Nick dived very well in all 3 events, managing to score an 8 for his forward fall on 3m, and finished in 5th with a score of 261.75. 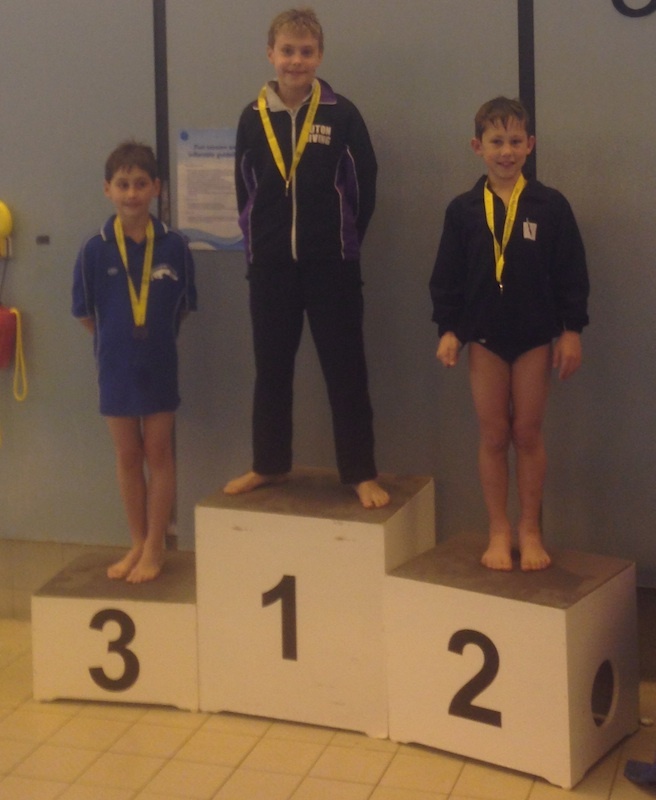 Nat was hot on his heels, and also produced some very consistent dives, scoring an 8.5 and 8 on his straight fall. Nat finished in 6th place with a score of 254.20. The girls faced a large group of competitors but still manage to hold their own. Natasha started her competition on 3m producing some excellent line-ups, scoring 7.5 on her back fall. She went on to produce some consistent dives throughout the rest of the competition, and finished in 14th with a score of 239.70. Tuso started on poolside with a solid performance. She grew in confidence as she moved onto the 1m then 3m board, scoring 8.5 and 7.5’s for her forward fall, finishing in 13th with score of 246.40. Emma started on 1m, and quickly settled in to the competition with some excellent dives, including her forward fall on 3m which scored 8’s from all judges. With some impressive diving Emma finished in 10th with a score of 252.20. Sarah had a very successful competition, scoring 6 or above for almost all her dives, and finishing in 9th with a score of 257.70. Asher impressed with her poolside list, scoring 7 or above for all of her jumps and dives. She continued to impress on 1m and 3m, securing her a 4th place finish with a score of 268.35, only narrowly missing out on 3rd place. Next to compete were the Group D divers, with James Pollard, Jacob Dranse, Matthew Redican, Chenice Webster, Grace Connoly, Asher Omar, Milla Flynn-Ruane, Rebecca Richings, Lauren Jebb and Amy Rollinson all representing the club. Matthew had a slightly nervous start to his competition, but quickly settled in to it and dived well, finishing in 11th with a score of 210.50. Jacob produced some very consistent dives in all three events, including scoring 8’s for his forward dive tuck on poolside. Jacob finished in 7th with a score of 235.10. 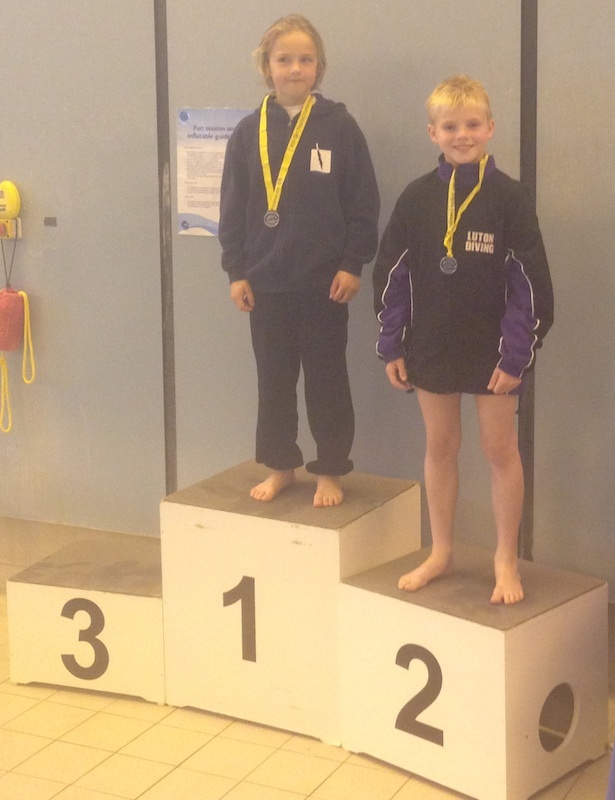 James faced some tough competition from a Cambridge diver, but managed to hold his own, and dived very well throughout the competition securing himself the GOLD with a score of 261.10. The girls once again faced a large amount of competitors in a very closely run competition. Amy and Lauren both let nerves get the better of them during some of their dives, but despite this they still managed to produce some brilliant dives. Amy finished in 18th with a score of 227.30, with Lauren finishing in 17th with a score of 230.90. Rebecca got off to a great start on 3m, scoring 6.5’s and 7 for her forward tuck roll, and continued to dive very well throughout the competition. She finished in 14th with a score of 234.55. Milla also produced some excellent dives on all boards, and finished in 13th place with a score of 235.75, only slightly ahead of Rebecca. Alliyah started off with a strong performance on poolside, scoring 6.5 and 7 for all of her jumps and dives. She continued to dive well on 1m and 3m, and despite landing short on her reverse dive she managed to finish in 11th place with a score of 242.30. Grace also started on poolside and impressed the judges, scoring 8’s for her forward dive tuck. Despite landing slightly short on her back dive pike, she finished in 10th place with a score of 242.40, only 0.1 ahead of Alliyah. Chenice held her own during the competition, diving very consistently in all her events, and scoring 6 or above in almost all of her dives. An excellent performance saw Chenice take the BRONZE medal with a score o 265.70, only narrowly missing out on the silver. The afternoon competitions saw our youngest competitors Hayden Wilkinson and Olivia Fenn take to the pool in the group E competition. Hayden settled in to the competition very quickly and with some consistent dives, he took the SILVER medal with a score of 226.25. Olivia started on 1m, and landed slightly short on her back dive. Despite this she produced some superb dives during the rest of the competition to take the SILVER medal, with a score of 230.80. The last competition of the day saw Faye Leek and Zoe Gray competing in the Girls B+ group, where they only had to compete on 1m and 3m. Despite landing slightly over on her inward ½ on 3m, Zoe still managed to produce some excellent dives on both boards, finishing in 10th with a score of 281.30. 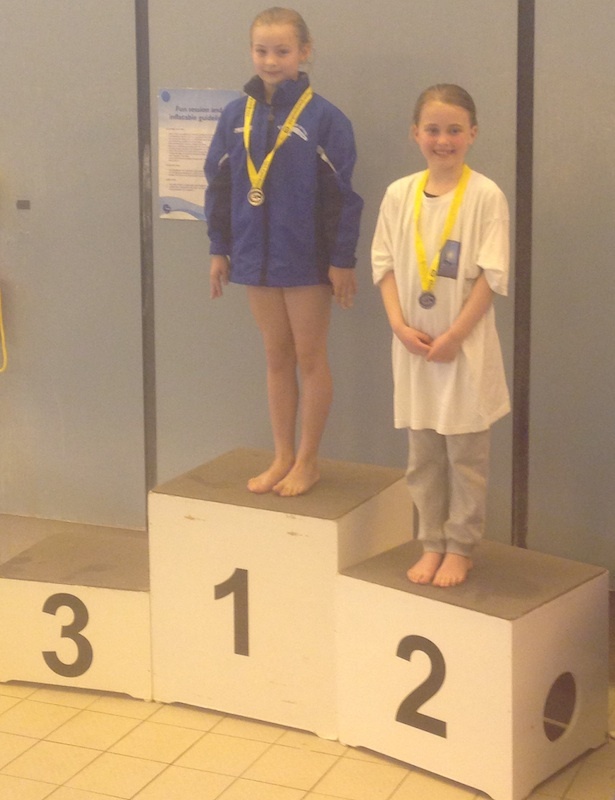 Faye also produced some excellent dives throughout the competition, including her inward 1 ½ on 3m which scored 33.25. She finished in 9th with a score of 282.55, only marginally ahead of Zoe. Congratulations to all the divers who competed at the skills competition in Stevenage, many of whom received a qualifying score for National Skills. It is now back to training in order to prepare for the National Skills which is taking place at the beginning of May.